The total of the landscape and of the biotopes with the rare and endemic animals and plants compose a site with ecological and aesthetic value. The ecological importance lies on the existence of a range of habitat types, with a vegetation mostly at a good conservation status, from phrygana to maquis to forests to streams and ponds and to steep cliffs, screes and caves. 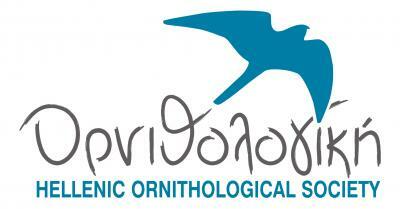 The flora and fauna of these biotopes typically contains endemic and moreover local endemic species in Crete. Regarding the flora, there is the typical chasmophytic flora with rare and endemic species. In particular, the plant species Astragalus nummularius and Geocaryum creticum are endemic to Dikti mountains. Also, there is a significant population of Origanum dictamnus. The invertebrate fauna also contains endemic species. The snail Albinaria purpurea is endemic to the site while the snails Metafruticicola lecta, Trochoidea mesostena, Oxychilus superfluus, Albinaria inflata, Mastus cretensis and Mastus olivaceus and also the slug Deroceras rethimnonensis are endemic to Crete. The snails Metafruticicola pellita and Orculella critica are endemic to the Aegean. The snail Helicopsis bathytera and the slug Deroceras lasithionensis are endemic to Crete and Karpathos. There are also some rare and protected reptile species and an endemic mammal, Apodemus sylvaticus creticus. 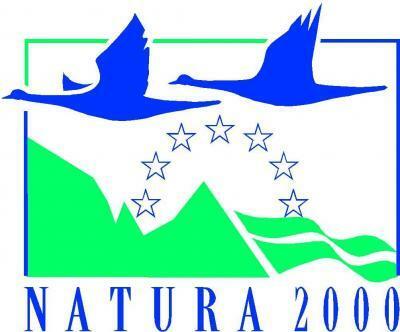 Finally, the avifauna includes rare and protected birds of prey and the area is considered an important for the avifauna ecosystem at local level. On the mountain the vultures Gypaetus barbatus, Gyps fulvus, the eagles Aquilla chrysaetos, Hieraaetus fasciatus and the hawk Falco peregrinus have their nests.OTHER IMPORTANT SPECIES WITH MOTIVATION DPlants: The species Astragalus nummularius, Crocus oreocreticus, Astragalus idaeus and Chaenorhinum idaeum are included in the IUCN Red List of threatened species (1993, Greece; 1988 Europe; and 1993, World) with the characterization "Rare" and are also protected by the Greek Law (Presidential Decree 67/81). Viola fragrans, Cyclamen creticum and Chaenorhinum idaeum, because they are protected by the Greek Law (Presidential Decree 67/81).Brassica cretica ssp. cretica is a chasmophyte found only in C. & S. Lebanon out of Greece.Reptiles: Chalcides ocellatus, Coluber gemonensis, Telescopus fallax and Lacerta trilineata polylepidota are protected by the Greek Law (Presidential Decree 67/81) and by the Bern convention (annex II, strictly protected species).Notes: The species Lomelosia minoana ssp. minoana is included in section 3.3. by its synonym Scabiosa minoana ssp. Minoana. The site is mountainous, located in southern central Crete and covers part of the southern massif of Dikti in Iraklion Prefecture. It is delimited by Omalos plateau and Erganas stream on the north and by the contour of 700 to 800 m on the south including the southeastern peaks and slopes (Tourlou, Kynigou, Graspiasmasta etc) of Dikti mountains, the area of Ano Viannos in the south and Symi in the south-east.Springs and small intermittent streams are scattered throughout the site with Platanus orientalis and Nerium oleander riparian formations along the watercources. There is also a temporary pond at Omalos Viannou. The vegetation in most of the site is typical of Cretan calcareous cliffs and rocks, with phrygana and maquis (Q. coccifera) formations. There are also bare rocks and caves. Finally, there are Pinus brutia forests on the southern slopes and also cypress forests (Acero-Cupression), over 800 m.